But we do not believe completely in either bio or biodynamic viticulture. Why ? Both are dogmatic approaches. They believe a priori that there are good and bad products. On the one hand, everything of vegetable origin is supposedly healthy, and conversely every synthetic or chemically purified product is forbidden. • Pyrethrin and rotenone are natural insecticides extracted from tropical plants. Therefore they are authorised for bioagriculture. 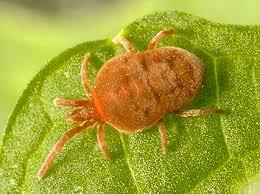 However these are insecticides just as active as others and kill both useful and harmful insects without discretion. • Copper is the principal weapon used in both bio and biodynamism against mildew, the gravest danger to vines. But one knows that an irreversible accumulation in the soil reaches toxic levels for the micro-flora. Is copper less harmful than synthetic products ? I am not sure.